Jaipur gets its name from its founder Maharaja JaiSingh II (1693-1744) the great warrior and astronomer. He came to power at the age of II on the death of his father Maharaja Bishan Singh. The maharaja was told that his son would achieve greatness and he set out to ensure that Jai Singh Had a good education. He was trained by the best teachers and scholars in art, science, philosophy and military affairs. His scholastic background matched his innate wits When Jai Singh was 15, emperor Aurangzeb summoned hi to court. Jai Singh had contravened the agreement of not waging war against the Marathas in the Deccan. On metting Jai Singh, Aurangazb,clasping his hand in greeting, demanded an explanation. Jai Singh, then 15, replied that since the emperor had extended his hand, it implied that he would protect Jai Singh and his kingdom. Impressed by his reply, Aurangazab conferred the title of Sawai, meaning one and a quarter, a title, that all of Jai Singh’s descendants kept. Jai Sing’s lineage can be traced back to the Kucchwaha Rajput clan who came to power in the 12th century. They built the magnificent Amber Fort and their might spread to beyond the present day Jaipur, encompassing the kingdoms of Mewar (Udaipur) and marwar (Jodhpur). At that time, the might of the Mughal empire was at its peak and recognizing it, the Kucchwahas aligned themselves with the Mughals. After Jai Singh came to power, there was moment of disquiet when he supported Aurangaeb’s son. Azam shah’s bid to the throne,Azam Shah lost the battle of succession to this brother Bahadur Shah, who demanded Jai Singh’s removal and installation of Vijay Singh to the throne of Jaipur. Jai Singh, not one to take serbacks lying down, formed a formidable front against the Mughals by aligning himself with other Rajput states and reinstated himself. After the dust had settled, peace reigned and the kingdom prospered and its borders expanded. However expansion meant that the limited sources of water proved inadequate for the city. Which he named Jaipur, after himself. Much of the credit for Jaipur goes to Vidhyadhar Bhattachary,chief architect from Bengal who, with Jai Singh’s approval, founded the city on strong scientific principles Laid out according to the Shilpa Shastra, ancient architectural manual, it remains one of India’s best planned cities. After Jai Singh’s death in 1744,the obvious happened. 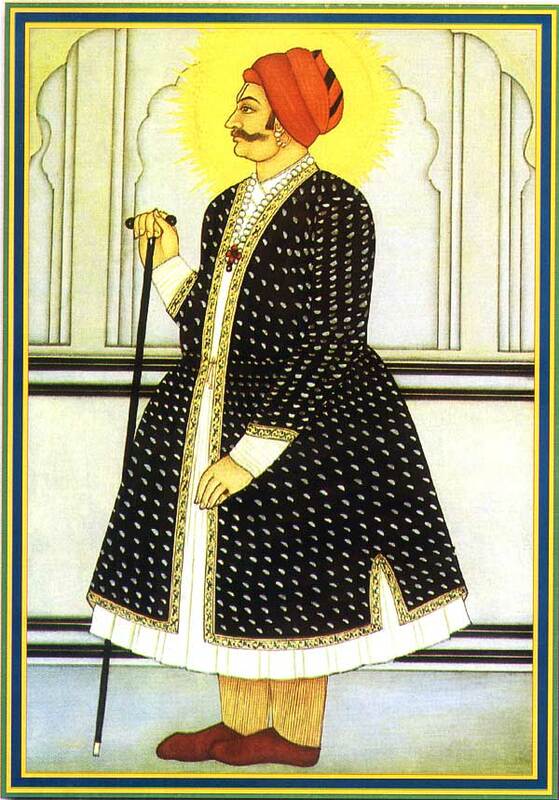 His sons squabbled for power and without monarch, the kingdom became open to invasion and neighboring Rajput states and the Marathas usurped large areas of kingdom.As with the Mughals, Jaipur maintained good relations with the British and during the war of independence in 1857 remained loyal to the raj. Yet, the British gradually began to undermine the independence of the state and exercised greater control over the administration. In 1876,Maharaja Ram Singh did something that earned Jaiur its sobriquet. He painted the entire city pink, traditionally a color associated with hospitality, to welcome the prince of Wales (leater king Edward VII) to the city. The tradition has been maintained and today all residents in the old city are compelled by law to preserve the pink color. Maharaja Ram Singh also built Ramgarh lake to supply water to the burgeoning city. Duringh the 19th and 20th centuries the city’s population spread beyondits walls. In 1922 Man Singh II, Jaipur’s Maharaja ascended the throne and it was during his reign that civic buildings like the secretariat, schools, hospitals and other public buildings were built. After independence, Jaipur merged with the states of Jodhpur,Jaisalmer and Bikaner to become the greater Rajasthan union. Man Singh II was bestowed with the title of Rajapramukh and given charge of the new province .The title was later revoked and in 1956, Jaipur became the capital of the state of Rajasthan.